For all website owners, there are two words that plague their every thought; web traffic. You hear people talk about this all the time. But, what is web traffic? And why is it important? By the end of this piece, you should know the answers to those two questions, and more! To start, we’ll answer that first question; what is web traffic? Well, it’s the amount of data sent to your website. Most people will judge web traffic by how many users are visiting your website. If you’ve got a high amount of people coming to your site every day, then you have good web traffic. And, that’s the main aim, everyone wants to increase their web traffic and get as many people on their site as possible. Web traffic is important because it determines whether or not your website is doing well. If loads of people are visiting it, then that means things are moving in the right direction. But, it can also have a bearing on other things too. A large amount of web traffic can mean that you’ll make more money via website advertising. Advertising services are willing to pay you more money if they know your website is getting seen by lots of people. Also, it’s important for businesses too. A business will look at their web traffic as an indication of online success. More web traffic means more people that could potentially become customers. So, companies are constantly trying their best to get users flooding to their site. If no one is visiting it then, it means very few people will know about your business. 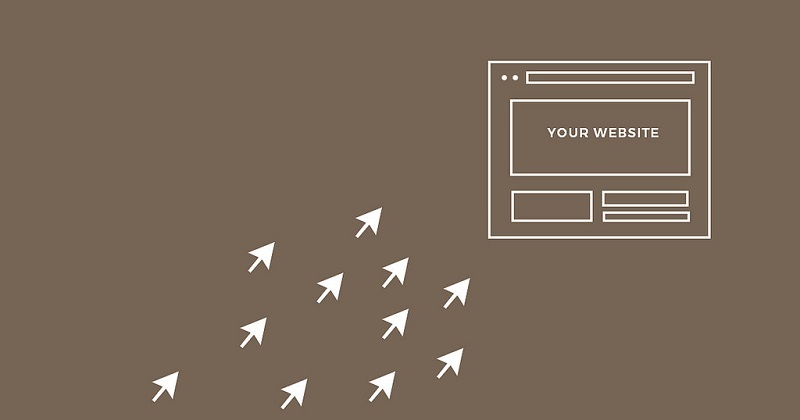 From a marketing standpoint, web traffic is hugely important. How Can You Increase Web Traffic? So, how does one go about increasing their web traffic? The first thing you need to do is improve your SEO. Get your website improving in the search rankings and loads more people will come across it.. There are even companies like iLocal that provide SEO services for individuals to help them gain web traffic. So, if you don’t know anything about SEO, then there will be assistance for you out there. Another thing you can do is promote your website on social media sites like Facebook. You can pay to have adverts displayed that will link to your site when clicked. This is a highly popular method of gaining lots of web traffic in a small space of time. If you’re a business owner, then you need to start getting to grips with web traffic. You want your business to be as successful as possible, right? This won’t happen if you have a website that isn’t getting enough web traffic. Focus a lot of your marketing efforts on getting your traffic up and making your website as popular as can be. When you have lots of web traffic, you start to notice your customer base increase. As a result, your sales increase too. Slowly but surely, your business starts moving in the right direction and making lots of cash. Great post and full of new information, Well getting traffic from google search is also a vital point for bloggers and you have shared all the important points here. Good post for start up owners, Web traffic is an important for every niche services, products or blog. If we can’t generate the traffic then we can’t generate leads. So, every business start up need this information and strategy to put some traffic to their webpage. thanks Erik. That’s superb post, you are right, without traffic, you don’t a success on the web. Thank for shared helpful knowledge, I like it. Informative article for the beginners to understand the importance of web traffic and the methods to increase the web traffic specially the tip of paid advertisments for increasing paid traffic in less time. Thank you for sharing your worthy article.